Curious about leather embossing, dying with pigment and more? This class was made for you! Candie Cooper will show you how easy it is to make this fun leather pendant and necklace from start to finish from cutting, to forming, to dying and embellishing this sweet leather feather. Truly an amazing process! You will have 3 color options to make your feather piece. Candie will also show you how to attach findings to crystal cup chain. 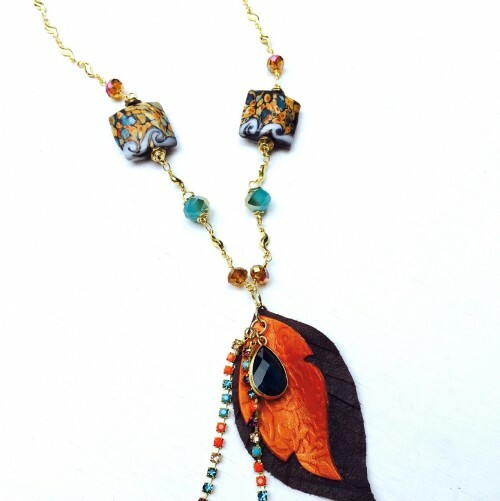 Class Kit will include beads, findings and chain so you can finish your necklace! Sponsored by Sizzix, Beadalon, and Jesse James Beads.